Opened as a 9-hole Scottish links in 1900 and now a par 66/67, 18-hole semi-private golf course, the scenic Port Hope Golf and Country Club winds through the grounds of the historic Penryn Park on the bluffs of Lake Ontario. The mansion overlooking the 16th fairway was built in 1859 and offers a spectacular setting for weddings, tournament parties and corporate seminars. Port Hope Golf & Country Club is located just a short drive from the Toronto area and offers an intimate, country setting with an atmosphere that is unparalleled by any other golf course. Our ability to create the perfect atmosphere is our specialty. Our delectable menus, superior service, and graceful surroundings are absolute perfection - extraordinary and unforgettable! Situated less than five minutes off the 401 Highway, on the outskirts of downtown Port Hope, Port Hope Golf & Country Club is strategically located to attract local golfers and their guests as well as the Toronto area golfer who enjoys first-class service, a challenging length golf course, captivating scenery and a relaxing environment. The course design integrates an interesting blend of nature and design. The generous fairways and gently contoured greens amidst a mature mixed forest setting are both inviting and enjoyable. Brilliant white sand bunkers, refreshing lake breezes and dramatic elevation changes add excitement to every round. 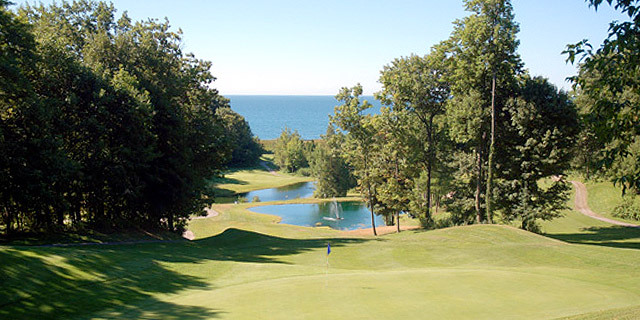 Port Hope Golf & Country Club has a special feel and distinction, defined by its natural park setting. These environmental features have been highlighted within our outstanding golf design that is in keeping with the natural beauty of Central Ontario. Whether you are considering Port Hope Golf & Country Club for your next round of golf, your special day, or a family event, we are confident that you will not be disappointed.